Heat oven to 425°F. Line 15x10x1-inch baking pan with foil. In 1 gallon food storage plastic bag, combine cheese, Italian seasoning and ground red pepper; shake bag to mix. 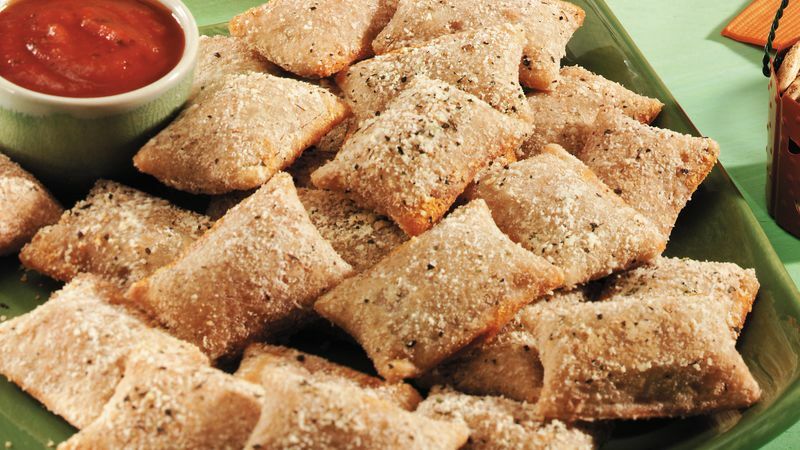 Place pizza snacks in single layer in foil-lined pan. Spray with nonstick cooking spray. Stir gently; spray again with cooking spray. Place snacks in bag; seal. Shake to coat snacks. Return snacks to baking pan, in single layer. Bake at 425°F. for 7 to 8 minutes or until thoroughly heated. Serve snacks with warm spaghetti sauce for dipping.